The early English translations of Alessandro Manzoni’s historical novel I promessi sposi are in many ways an object lesson in how not to do things. The six versions published between 1828 and 1845 are valiant attempts, but all of them include some pretty major clangers. Based on years spent looking, and laughing, at them, here’s a tongue-in-cheek list of tips I have compiled for aspiring translators. 3. Don’t rely uncritically on other translations. At one point the anonymous translator responsible for the version published by Longman in 1845 adds a note saying: “Here, in the original, is an untranslatable play upon the word pulizia, which signifies both police and cleanliness”. Whoever was responsible for this translation copied the note word-for-word from the first French translation of Manzoni’s novel by Rey Dussueil in 1828. Unfortunately, though, no such play on words exists; and the putative connection between cleanliness and the police force is – only in this limited sense, of course – entirely spurious. 4. A single letter can make a large difference. Similar in some ways to the example above, the same translator failed to look closely enough when she/he found the phrase “il sedicente Ambrogio Fusella” in Manzoni, thinking the term “sedicente”, or “self-styled” was in fact “seducente”, or “seductive”. Okay, it was only one vowel that was different; but if you ever happen to read this translation, and come across the passage which says that “this seducing Ambrogio Fusella was, as our host had said, a disguised informer”, do bear in mind that the original was not quite as James Bond as it might sound. 5. Choose carefully what edition you use. Another anonymous translator, whose version was published by James Burns in 1844, generally speaking did a very good job, producing the most faithful and accurate of the early translations of Manzoni’s novel. Unfortunately, though, he/she used a pirate edition of the novel, published by Baudry in Paris in 1827. 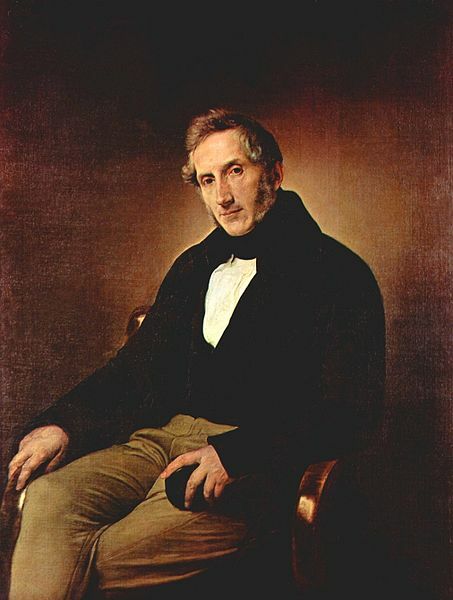 This would not matter, were it not for the fact that this unauthorized edition contains certain variants which the author himself then revised before the official publication; Manzoni had passed the manuscript to his French translator before it was finished, to allow him to progress with the work so the novel could be published in Paris and Milan more or less simultaneously. The translator, though, handed them straight to Baudry, who brought out his own edition without compunction. Hence if you read in this version that the superintendent of provisions, whose house was under siege during the 1628 Milan food riots, heard the furious mob relentlessly approaching and “at last, in absolute despair, […] sank down upon the floor, and remained terrified and almost insensible, expecting his own death”, don’t expect to find anything of the kind in the authorized version of the original. 6. If you have to leave things out, choose carefully what to omit. The second translation, traditionally ascribed to Andrews Norton and published in the United States in 1834 (then revised and published by Bentley in London the same year), is an abridgement as well as a translation. Hence the translator excises large chunks of material, raising interesting questions as to the centrality or otherwise of what was thought to constitute a digression (a question which considerably exercised Manzoni himself). However, many of the phrases located between brackets were felt to be expendable for the same reason, when they in fact contain the narrator’s ironic asides, cudgelling and cajoling the reader towards the conclusions he wanted them to reach. In this way, one of the main characters in the novel – the omniscient narrator – emerges considerably reshaped and downsized. 7. Think twice before adding comments of your own. Often a translator is tempted to add the odd note of their own, to explain certain references or occasionally venture an opinion. Reverend Swan shows commendable restraint in this sense throughout most of his translation. When confronted with a particular proverb, though (“would you find many to help you? stand in no need of them”), he can help himself no longer. A fateful asterisk sends us to the bottom of the page, where we find the following astonishing outburst: “This proverb ought to be the first that the infant utters. It should be burnt into his heart with a red iron; stamped upon his hands, and brow, and upon every conspicuous part of his body. His gingerbread should smack of it; and his toys all be contrived to speak it. Cram him, till his ‘gorge rises.’ If he forget for a single moment, flog him; flog him till the blood run. Better that he should weep then, than lament all his future life!”. Perhaps he would have done better to keep his own counsel. David Gibbons is a translator and researcher based in northern Italy. His publications include a book on Metaphor in Dante (Legenda, 2002), and he was one of the main translators of Leopardi’s Zibaldone, recently published by FSG and Penguin. He writes what he likes, when he likes at http://scribblingforfun.wordpress.com/. David, what great advice on translation work! I have a degree in Spanish, and we talked about these issues a lot in my college classes. I personally prefer the angle of trying to preserve the spirit of a work when translating while I know that some translators are more focused on being clinically correct. It can be hard to blend the two when needed. Indeed. I spent this summer learning German (reading knowledge only), and at the end I translated a few of Kafka’s short stories. Comparing the original to the available English translation, I was shocked at how bad the translations were. And now I’m terrified of reading any literature out of its original language. I love this. One quick question for elaboration–in #2, what would be the fuller significance that Swan’s version doesn’t capture? It looked to me that Swan wanted to fit in the “best in the world” idiom, which is common in English. Was that an erroneous decision on his part? Hi Michael! You’re right, I should think, about the “best in the world” idiom, though I don’t know exactly how current it was in 1828 when Swan’s translation came out. There are two fundamental mistakes in this translation: first, he gets the subject wrong (i.e. he fails to understand that “moon” is the subject of the sentence, because it comes after the verb – which is perfectly possible in Italian, but only really possible in English in questions, or possibly poetry); second, the meaning of “battere”, which is indeed “to strike”, or I suppose “batter”, but referring to the moon’s light “beating” down from the sky. I should think a decent literaltranslation would be something like, “The fairest moonlight in the world was shining”; though personally I think the “in the world” is a hyperbole that is not really necessary in English. Does that help? Interesting points, translating is obviously a very arduous and intricate task. The Leviathan mistake is amusing. I think Murakami’s 1Q84 took about a year to translate. From my own very limited Japanese I can appreciate it must have been a nightmare. Earlier this year I read Joseph Roth’s The Radetsky March, which is a wonderful book and it would be interesting to know how similar it is to its original form. A delightful post — many thanks. One could fill several books with translation howlers, of course — especially of the kind that would fall under your category #1. In Seneca’s tragedy “Phaedra”, a messenger describes how the male protagonist set off on a chariot ride that would turn out to be his last: “he quickly set his horses under the high yoke” etc. Now, the Latin for “yoke” is iugum, which can also mean “mountain ridge”. This caused, in one of the English translations of the play, a rather imaginative recreation of the scene: “he went up to the ridge-way and quickly yoked his horses”. And yet, only a few lines later, it becomes clear that the fateful chariot ride takes place near the seashore, as far from the “ridge-way” as possible. Excellent stuff! Do you happen to know who the translator was? Thanks! Great piece and good humor too. I have translated twenty seven letters written in Gujerati into English. Though I speak and write Gujerati, translating the written word was a learning experience for me. I used a really detailed Gujerati into English Dictionary for the difficult words but I wanted to preserve the spirit/essence of the writer and it was quite a thought-provoking endeavor. I agree … use the dictionary judiciously! Look forward to more posts. This is great! I’ve met several people who are completely unaware of how frequent human error can be in translations and do not keep in mind that they are not getting the whole work when they read one. One in particular who claimed that his reading a translation of Les Misérables gave him the exact same knowledge of the work that I had from reading it in French. If this specimen and I were still in contact I would direct him to this post. I’ve always felt that King Alfred got to the heart of translating when he said that he sometimes translated word by word and at others sense by sense. It is also always interesting to look at translations of novels and poetry and compare those created by other novelists and poets with those of the same work created by classicists or modern language specialists. The latter are often more accurate and the former more emotionally and stylistically pleasing. Goodness, that was some review! Mind you, I remember reading David McDuff’s translation of the Brothers Karamazov a few years ago and being struck by the same oddness. Sentences like “There are with old liars who all their lives have played the actor moments when they begin to show off to such a degree that they of a truth quiver and weep with emotion, the fact notwithstanding that even at that very moment (or only a second thereafter) they may whisper to themselves: “Why, are you lying, you old brazen-face, you’re being an actor even now, in spite of all your ‘holy’ moment of anger”. And then reading the translator’s introduction, which says: “The translation attempts to follow the sentence structure of Dostoyevsky’s original wherever possible. It also aims to reproduce the somewhat idiosyncratic nature of the wording of certain passages, which is not always the one that might be expected, in Russian or in English”. And then reading Peter France in The Oxford Guide to Literature in English Translation, who says of McDuff’s version that “At times, indeed, the convoluted style might make the reader unfamiliar with Dostoyevsky’s Russian question the translator’s command of English”. Which, in its polite, understated way, is as damning as the criticisms contained in the Guardian article. At least you can say this for Pevear and Volokhonsky: for all their (often misplaced) reverence for the original, they are never anywhere close to McDuff’s concoctions. Thanks to all for the replies here. Translation is a fabulous subject, and one which, obviously, has spawned its own discipline in the last 30-40 years. I still feel George Steiner’s After Babel is one of the very best books translation studies, if anyone’s interested in taking it further. As a translator myself, I do feel slightly disloyal in getting cheap laughs from pointing out others’ mistakes. One of my own published translations, for example, includes reference to a plane flying “10,000 kilometres up” in the sky, when clearly I meant “metres …”. But the reason why I think these examples are of interest is that they reflect what is in my view a peculiarly British, post-Waterloo approach to translation and foreign languages in general; the same kind of approach which the late Roy Jenkins saw in Gladstone (himself both an admirer of Manzoni and a translator from the Italian – of Luigi Farini’s The Roman State), describing his attitude to modern languages as being “reminiscent of a tank cutting its way through undergrowth”. If you look at Italian translations of British literature in the same period – e.g. translations of Walter Scott – the approach is entirely different: far less amateur and more journalistic. There has been much talk in the press recently of British attitudes to foreign language learning, including with reference to school curricula and university courses (language departments closing, etc. ); and I think it’s useful sometimes to investigate where such attitudes come from. As to the debate on the spirit of the text as opposed to clinically correct translations, it may be of interest to know that both in Italy and the UK recently, people have said outright that what Manzoni really needs is a writer rather than a translator to translate him: to do him the kind of service that, say, D. H. Lawrence did for Verga in translating his novels into English. Indeed, Lawrence himself was a fan of Manzoni, writing in The Phoenix, I believe, of how he gave Katharine Mansfield a copy of a “good translation” of I promessi sposi (it would be fascinating to know which one, though I can only assume it was the one published anonymously in 1844), which she said she was unable to finish, because it was “too long, too boring” (this anecdote comes from Matthew Reynolds, though I can’t remember whether from his recent-ish edition of Manzoni, or from his brief chapter in Peter France’s The Oxford Guide to Literature in English Translation). Creative translation is a subject worth studying in its own right. Ciaran Carson’s version of Dante’s Inferno, for example, is a masterpiece; at times a long way from the original but brilliant nonetheless. In fact sometimes the translation can take on so much of a life of its own that the original is forgotten. I guess the number of people who thought that the Bible was written in English because of the success of the King James Version is one example of this. Finally, out of the modern translations of Manzoni I still feel that Archibald Colquhoun’s is the best, far better than Bruce Penman’s Penguin edition. However, a new translation, by the New York-based translator Michael F. Moore is due out sometime soon, for which I have high hopes. I love this post and will never read a translation again without wondering …. I do almost no translating, but by coincidence I did early this morning when I couldn`t sleep. I was ammused to come across this today.